There is an interesting editorial in “Vox” about gender disparity in college admissions that we thought we’d share with our readers. 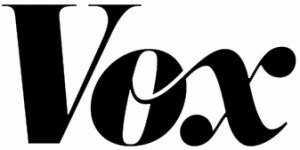 There was recently a well argued editorial by Libby Nelson in “Vox” entitled “Discrimination against women is a real problem in college admissions” that we figured we’d share with our loyal reader base. The piece focuses on how women with higher credentials than men are being turned down from colleges because these the admissions offices at these schools receive fewer qualified male applicants and need to create gender parity at their institutions. In 2007, Henry Broaddus, the then dean of admissions at William & Mary, stated that the university would continue to try to balance out the male-female ratio at the university because it’s “the College of William & Mary, not the College of Mary & Mary.” Broaddus almost immediately seemed to regret stating this on record, although he didn’t take back the sentiment that the university would continue to try to balance out the female-to-male ratio being as it’s a co-educational school. We applauded Henry Broaddus at the time for his transparency and candor. And the most interesting point made in the piece? It’s a poll by “Inside Higher Ed” conducted in 2014 that found that around 25% of directors of admissions surveyed stated on record that they support admitting less qualified men in the hope of fostering a gender balance at their universities. That, we believe, says it all. Curious to read more about the gender gap in highly selective college admissions? We encourage you to do so!